A woman I know who many years ago chose to abort her child, has lived with regret ever since. She told me that at the time, she made the decision to rid herself of the unwanted pregnancy because it was… well, unwanted. She already had a houseful of children and did not want to abide another. So she did what many women did once abortion became legally available — she ended her child’s life and went on with her own. 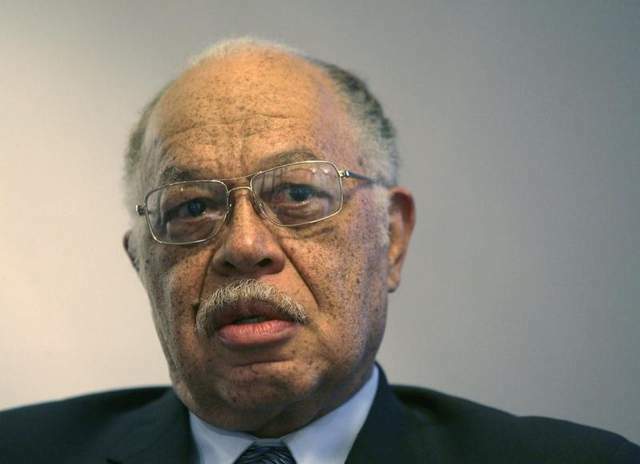 We talked about Kermit Gosnell, on trial for murdering seven babies. Of course, the Philadelphia abortionist murdered hundreds of babies who survived his abortions. The jury is currently deliberating and a decision on 258 charges against the abortion doctor should be decided relatively soon. She shared her personal story with me as she handed me something she has carried in her purse for a long time. It was obvious the small square of paper had been folded and unfolded many times. Her story reminded me of an episode I watched last Sunday night on “Call the Midwife”, a British series about young nurse midwives set in post-war England. First, a little bit about the series. Written by Heidi Thomas and based on the best-selling memoirs of the late Jennifer Worth, “Call the Midwife” is produced by BBC One. Now in its second season, the successful drama centers around the Nonnatus House, a neo-natal clinic set in early 1950s East End London, and its midwives and nursing nuns. 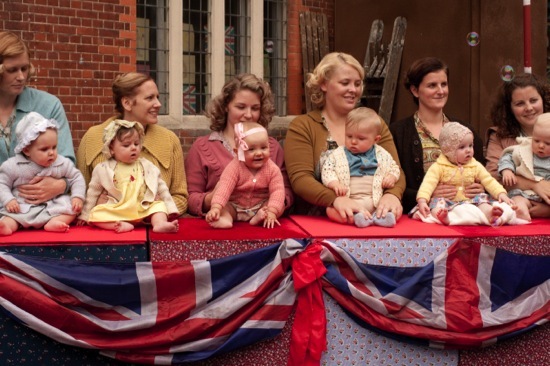 “Call the Midwife” airs Sunday evenings on most PBS stations. Last week’s episode was about the lack of contraception and unwanted pregnancies. And abortion. Nurse Jenny meets Nora, an impoverished mother of eight, who is distraught that she may soon have another mouth to feed. When Nora learns she’s pregnant with her ninth child, she tries to miscarry by visiting an abortionist who gives her something to take to help her expel the baby growing in her womb. When it doesn’t work and now 16-weeks along, the despairing Nora tells her barely-employed but sympathetic husband that she’s at the end of her rope caring for the eight little ones they already have, so it’s come down to two choices: either the pregnancy ends, or it will be the end of her. Nurse Jenny’s attempts to reassure the overwhelmed mother that it will all work out fall on deaf ears, a desperate Nora takes matters into her own hands and revisits the town’s abortionist to disastrous results. Back to the present and real life. My friend handed me two worn pieces of paper, folded into small squares that she kept in her wallet. She explained they were a poem and a letter she wrote in 1989, several years after she aborted her baby. She has asked God for forgiveness, and over the years has learned to forgive herself, but there isn’t a day that passes when she doesn’t grieve of the child that was not allowed to come into this world and be part of her world. I have the heart of a mother that cries and aches and mourns for the child I did not carry and did not allow to be born. The little life that I took that day out of my own selfish need is now a painful memory of what that seed could be. The love that I have for you of my unborn child and the prayer that’s in my heart is that in Heaven we will be together and never will we part. I’m sorry little boy or girl whose life I took away, but God is a God of Miracles and will restore you to me one day. Of course, in Heaven only will this great event take place, when for the first time I shall hold you and kiss the tears from your sweet face. So for now I will just wait and pray that you’ll forgive me too, as God has done so mercifully… and now there’s He and YOU. Enjoy Heaven, my little one, and know I love you so. And in His presence and with His love, you are allowed to grow. To behold in wonder these gifts from above, such beauty and innocence these gifts of love. So perfect and tiny the little child and they are small for just a short while. How fast they’ll grow before your eyes, and the time with your babies how quickly it flies. Of God’s Word instill in their hearts, and when they are old they will not depart. Show them the Way, the Truth, and the Life found only through our Lord Jesus Christ, the Son of God, the Precious Lamb, teach them to hold on to that nail scarred hand. The peace of the Father will see them through. Honor His gifts, he gave them to you. They are only on loan, these gifts from above, so cherish this time with your Gifts of Love. While writing this post, my phone rang. It was one of those “divine moments” — a call from Concerned Women of America, asking if I would donate to help in the fight against Planned Parenthood’s influence on Capitol Hill. I will gladly give what I can, with a cheerful heart. 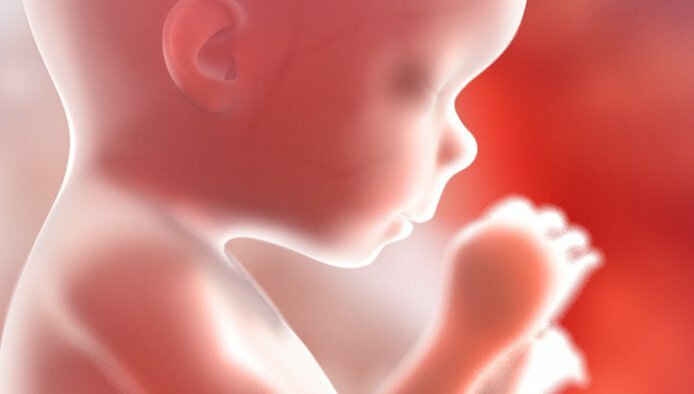 But it got me thinking… why do we have to fight to convince our representatives on Capitol Hill that killing babies in the womb is a sin against life itself? What if THEIR mothers had felt the way my friend did, considered them an inconvenience, and aborted them in the womb? Stanley Ann Dunham.17 years old and pregnant.Perhaps that is why he pushes the agenda.God forgive me, but that is the one abortion I could have lived with.”And the world will be a better place”. That may well be her feelings but it is not one of the majority! I can attest to that, as well as every other woman I know who has had an abortion. Abortion is a difficult and personal matter and by men and uncaring women attempting to control my personal reproductive organs, they are infringing on my privacy! NO ONE should be able to tell me what is right or wrong for me. Don’t like abortion? FINE! DON’T have one but leave me alone to my choice. As Ann Landers used to say; MYOB. So, just shut up and do it! fair enough. Anna. If you cannot see the choices before you when you CHOOSE to get pregnant, then that is YOUR cross to bear. I cannot and should not control your decisions. In the interest of fairness (I just KNOW you believe in fairness) I will concede that point when you agree that no public funds should go to abortion clinics so I don’t pay for what I consider to be the murder of innocents. IF you can point, with pride, to that time when mothers morphed from those who society could depend on to protect their children to the point in time when mothers murder their children without guile, then you will have earned my begrudged silence. Good luck with that. While we all stand responsible for our own actions,we are put on tract by the influence of someone elses policies.Karaprincess would have aborted the future president whose character and views were formed by a young 17 old by-product of (her socialist parents) the same philosphy that was similar to Hitler’s childhood.The previous generation sowed political policy the next generation reap’ed and lived with the consequences.Hitler grew up never forgetting the hard life and grew up with pay back targeted in his mind like an arrow.Please cross reference Irag’s Sodom Hussien’s uncle took the young teenage nephew under his wing teaching his muslim madness and no one celebrates the uncles name.Small details have big effects. We have the leaders we deserve.The pain America lives with on the abortion issue would not be if the policy was purposely targeted by political activist of another generation.The insanity of the 2 party system has only been a democracy and not Constitutional rule of Law from the Great Depression to date.Both political parties have used all of the issues to take the presure off each other. If it is true that I have the leaders I deserve, then I beg the question: How do you define ‘leader’? I consider the White House Occupant barely a follower and a shameful example of a leader. If there is anything I have done to deserve this lack of leadership, I will find a confessional tomorrow and fix that. Regretably, that won’t make him go away. I can concede that we spent a couple of generations studying the issues, listening and reading and making our choices by pulling a lever every 4 years. We believed that was our role. We then moved on, climbed the corporate ladder, built our now deflated portfolios, coached Little League, mowed our lawns and washed our cars, raised our kids according to the principles our parents passed on to us.. we believed that was our right AND our role. Where we failed, is where we neglected to manage the staff we hired every 4 years. No business can thrive when they hire staff and fail to manage them. We left Congress and the Oval Office to their own devices and they ran around with scissors without adult supervision. And now we are paying a devastating price. Congress opened the door which Obama crashed through. And we enabled Congress. Mea Culpa. Where is the leader worthy of good people? Karaprincess,We have the president we deserve.The lesser of 2 evils as an option has always produced the greater of the 2 evils as the victor.There has been a growing number of voters who refuse to hold their nose and violate their conscience.This 40 million have sat resent elections out rather than kick themselves for buying what they already knew to be a lie.That is conviction.We should follow these people and yell “go away” when someone floats the idea of self appointing their service.This would be an easy process because it is the same people who keep putting themselves in the race.There were more than 30 Thousand people running for office in 2010 who rose up out of the 2009 people led tea party movement,and the same politiicans got re-elected in 2010.And what have they accomplished ? Other than the same direction that caused the people to people to get mad and declare they were not going to take it any longer.Well we did because we have the leaders we deserve.We have to follow the leaders and stop following the followers. While it is entirely possible you have the president you deserve, I assure you, I did nothing to deserve this void of conscience and stunning lack of upright spine. Still looking for that leader you want us to follow. I strongly suspect the 2 party system is stifling that person.